Below you fill find all funeral homes and cemeteries in or near Glenview. Their current mayor is Mayor Jim Patterson. Zip codes in the city: 60025, 60026. Some of the notable people born here have been: (tom ethington), (samuel witwer), (pat foley), (jim meyer), and (olivia smoliga). Glenview is a suburban village located approximately 14 mi (23 km) north of downtown Chicago in Cook County, Illinois. As of the 2010 United States Census, the village population was 44,692. It was written by Chicago Tribune on March 3rd, 2019 that Ozzie "richard Joseph" passed away in Glenview, Illinois. Ozzie "richard Joseph" was 92 years old. Send flowers to express your sorrow and honor 's life. It was disclosed by Chicago Tribune on February 22nd, 2019 that Rachel Owen (Anderson) perished in Glenview, Illinois. Ms. Owen was 61 years old. Send flowers to express your sorrow and honor Rachel's life. It was reported by Chicago Tribune on February 21st, 2019 that Regina Cameron perished in Glenview, Illinois. Cameron was 75 years old. Send flowers to share your condolences and honor Regina's life. It was revealed by Chicago Tribune on February 17th, 2019 that James P "Jim" Cardis died in Glenview, Illinois. Cardis was 96 years old. Send flowers to share your condolences and honor James P "Jim"'s life. It was reported by Chicago Tribune on February 8th, 2019 that Kathleen Gaughan (Naughton) passed away in Glenview, Illinois. Ms. Gaughan was 96 years old and was born in Ballina Co Mayo, . Send flowers to share your condolences and honor Kathleen's life. It was revealed by Chicago Tribune on February 7th, 2019 that Robert G Peterson passed away in Glenview, Illinois. Peterson was 75 years old. Send flowers to express your sympathy and honor Robert G's life. It was revealed by Chicago Tribune on February 3rd, 2019 that John E Bieniek passed on in Glenview, Illinois. Bieniek was 97 years old and was born in Wausau, WI. Send flowers to express your sorrow and honor John E's life. It was written by Chicago Tribune on February 3rd, 2019 that Uzma Dr Yunus (Kureshy) passed on in Glenview, Illinois. Ms. Yunus was 46 years old and was born in Karachi, . Send flowers to express your sorrow and honor Uzma Dr's life. It was written by Chicago Tribune on February 1st, 2019 that Paul Bayne died in Glenview, Illinois. Bayne was 87 years old. Send flowers to express your sorrow and honor Paul's life. It was disclosed by Chicago Tribune on January 24th, 2019 that William Hyde Leinbach died in Glenview, Illinois. Leinbach was 81 years old. Send flowers to express your sorrow and honor William Hyde's life. *Glenview, St. Clair County, Illinois, an eastern suburb of St. . . 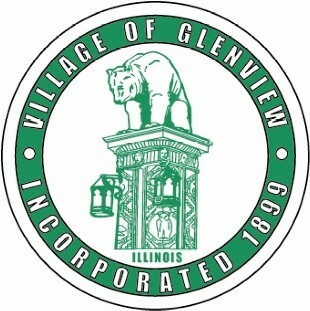 The official website for the city of Glenview is http://www.glenview.il.us/Pages/Default.aspx. Listing all funeral homes in Glenview, Illinois so you can easily send flowers to any location (same day delivery) or find any funeral service. Funerals in Glenview, IL on Yahoo! Local Get Ratings & Reviews on Funerals with Photos, Maps, Driving Directions and more. Find BBB Accredited Funeral Directors near Glenview, IL. Your guide to trusted Glenview, IL Funeral Directors, recommended and BBB Accredited businesses. Find Better Business Bureau Accredited Funeral Services near Glenview, IL. Your guide to trusted Glenview, IL Funeral Services, recommended and BBB Accredited businesses. We work with local florists and flower shops to offer same day delivery. You will find budget sympathy flowers in Glenview here. Our funeral flowers are cheap in price but not in value.